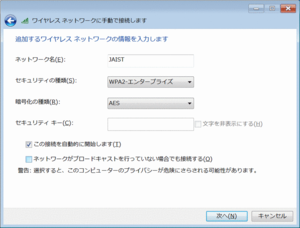 This page illustrates how to connect to JAIST Wi-Fi using digital certificates for Windows 7. 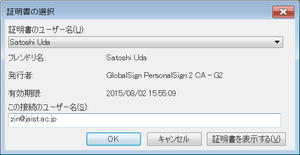 #To use the secure network, please download and install your digital certificate in advance, as in the following link. Control Panel > Internet Option > Contents > Certificate. If you cannot find your digital certificate, you should import it first by following the steps. "Control Panel" > "Network and Internet" > "Network and Sharing Center" > "Manage Wireless Networks"
Click "Add" to add a new wireless network. Select "Manually create a network profile". Insert and select following wireless network settings. 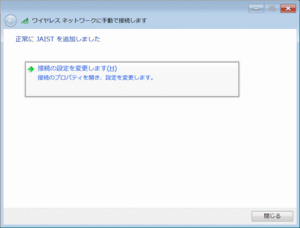 You'll get a message "Successfully added JAIST". After that, you need to access the detailed setting for this network. Click the "Change connection settings" link. When the notification "JAIST successfully added" appears, click on "Change connection settings". 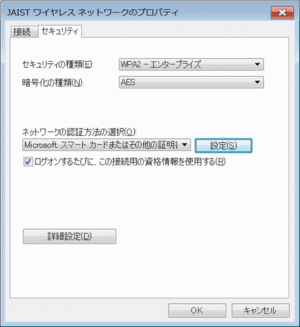 Select the following values in "JAIST wireless network properties" window. 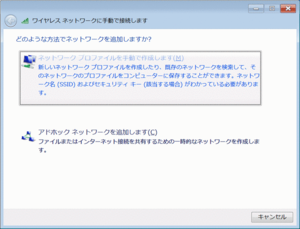 Click the "Setting" button for detailed setting of the authentication method. 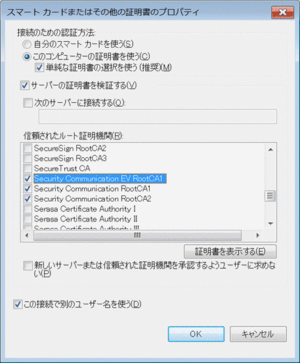 If you cannot find these certification authorities, please install root certificate by following steps before continuing your wireless settings. Close and apply all the setting windows, and open the "available wireless network" pane by clicking the "network" icon in the notification area. 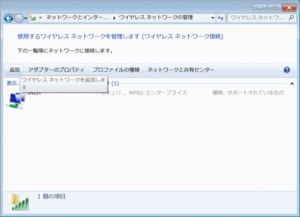 Click the "Connect" button beside "JAIST" network. The certificate selection will pop up. 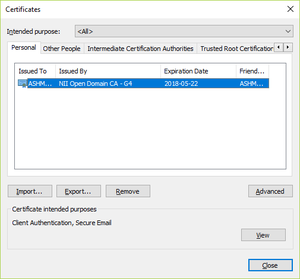 Select your digital certificate and change the connection user name. Ex. If you are student, use "sXXXXXXX@jaist.ac.jp" style even you have changed E-mail address. 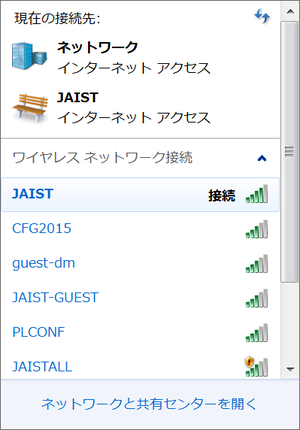 Finally you can find the status of network "JAIST" will be changing to "Connected".